Happy birthday to you, Miss Barbie. With thanks to Akasha for the post about the free Barbie avatar, I was able to get my hands on this perfectly disproportionate plastic dolly. Then, I hopped onto the Goth-up-Barbie challenge with this look. It's amazing; I was completely unable to make her look goth. At most she looks like a wannabee -- perhaps I needed to take a sharpie to her eye makeup? She also looks horrible in facial piercings. 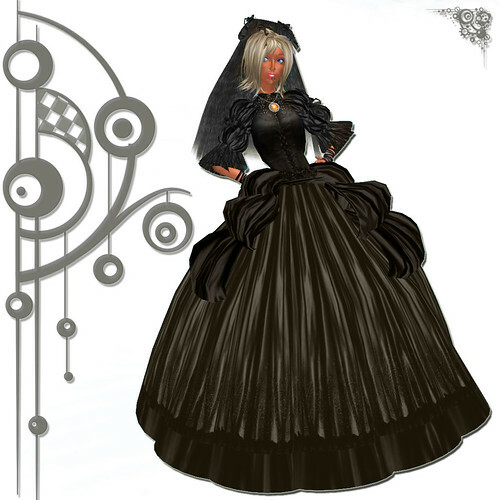 I do love the mourning gown, however. If anything is goth, it's this frock from the Laughing Academy. But even this was unable to withstand the glossy plastic sheen of Barbie's Malibu tan. Perhaps it's a sign that Barbie's essential spirit is indomitable. Rock on, ideal of American womanhood! May you eventually show your age. 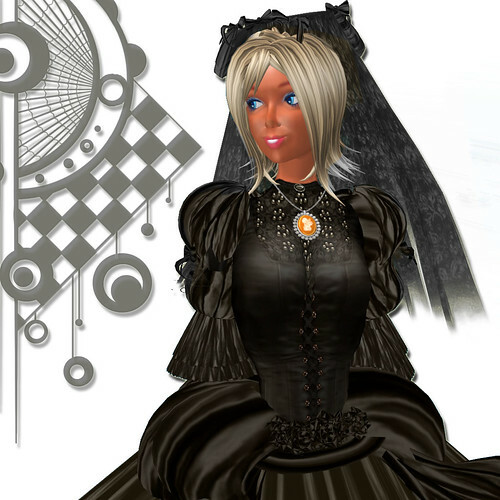 ***Avatar (skin, eyes, shape): Dollicious Doll Skins Blogged by Akasha over here!